This design was part of the original series of forty-eight designs completed by October 1931 but is not currently known from later printings. Note that the title-caption is spelled incorrectly for English. 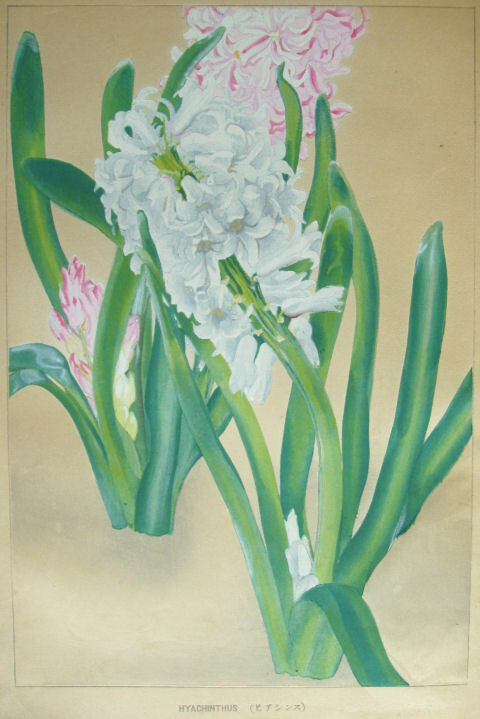 In this version the background is largely left uninked, but near the bases of the plants are deliberate drifts of pale gray bokashi which might be mistaken for soiling.